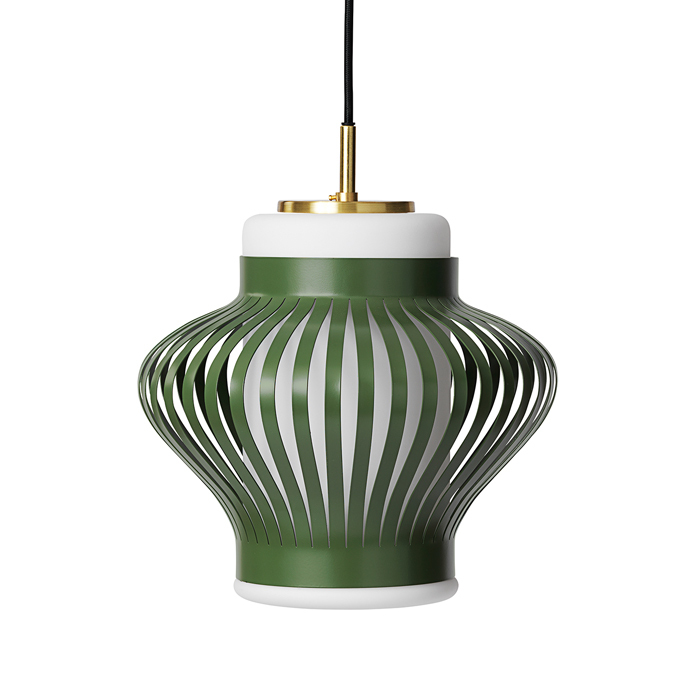 The Opal Lamella pendant was designed in the 1950s by Danish light master Svend Aage Holm-Sørensen. Opal glass offers something special when it comes to light, and the internationally renowned light designer chose opal glass for the Opal Lamella pendant to create a special warm glow. 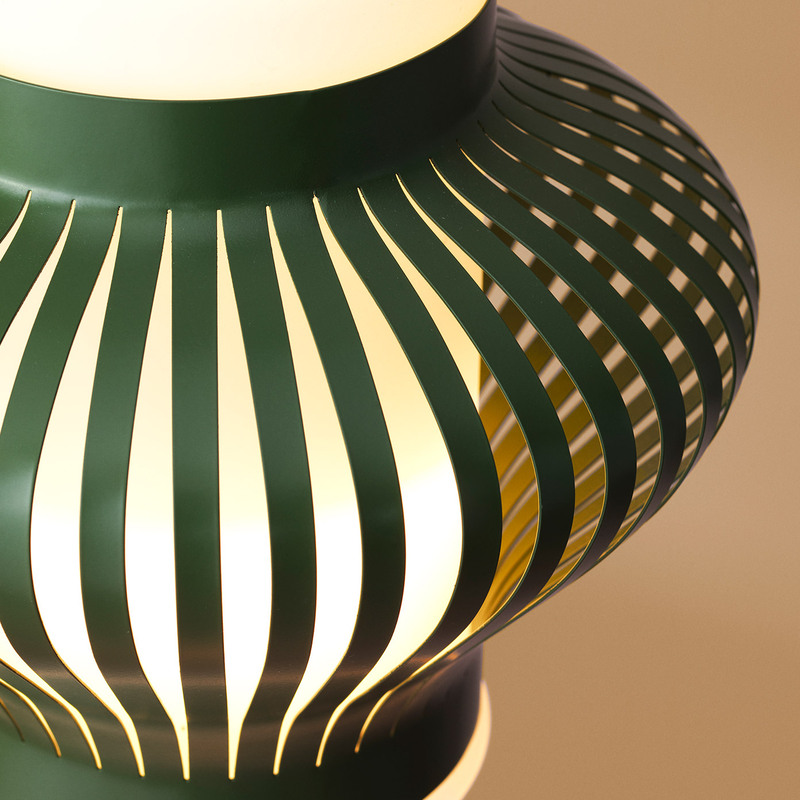 The glowing glass core of the pendant is embraced by a sculptural metal crown, the luxurious look being further underpinned by the solid brass top. Wonderful indirect lighting when used as a single pendant in the kitchen, in the bedroom or a living-room nook, and equally elegant when three Opal Lamella pendants hover side by side over the dining table. Choose between several stunning colours in Warm Nordic’s exclusive silk matt colours for an extraordinarily beautiful and durable surface. The Opal pendants were originally designed in the 1950s by Svend Aage Holm-Sørensen, who is a real pioneer in Nordic light design and who was very fond of working with opal glass. Opal Lamella is part of a range of opal pendants characterised by their uncompromising design and choice of material. Opal is characterised by the meeting of beautiful coloured metal and the matt glass where the outer layer has been sand-blasted to create a special calm without reflections. 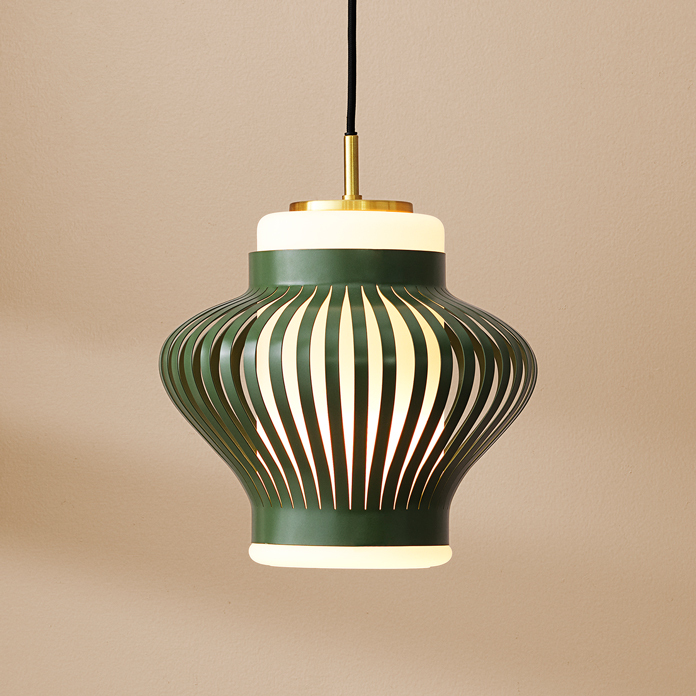 The pendants epitomise a time when Danish light master Svend Aage Holm-Sørensen and architects and designers from all over the world spent considerable energy and passion on the art of lighting and created singular designs. The Opal Lamella pendant has been hand picked for the Warm Nordic range as a celebration of iconic Nordic design that contributes with valuable diversity in modern interior design.